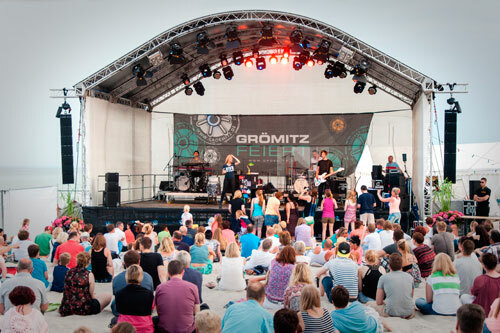 The open-air concert “Musik über dem Meer” (Music above the sea) took place in 2015 for the fifth time in Grömitz, Schleswig-Holstein and offered a diverse programme of music over two days. 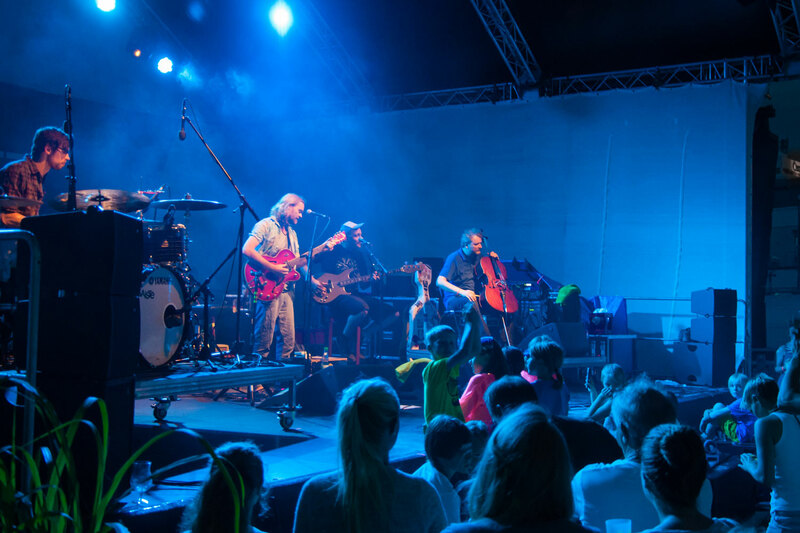 This time, students from the Grömitz Music Academy, among others, took to the stage on the first day and performed a concert full of variety. The crossover part of the event was captivating with a brass opening, a classic-pop symphony, an acoustic songwriter set and a gigantic classic rock symphony. On Saturday, the second day of the open air event, the international main acts POHLMANN and ALEXA FRESER thrilled the audience in a special atmosphere directly on the beach of Grömitz. 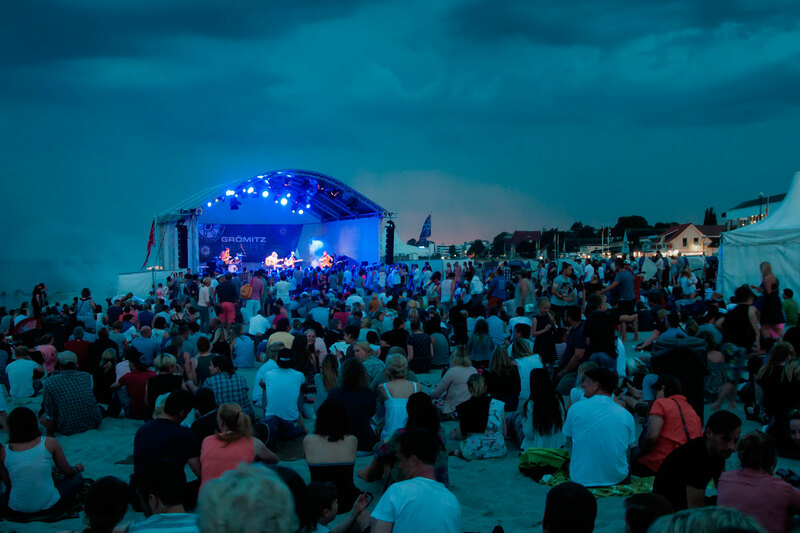 The main sound system of the stage, which was already built on the beach, consisted of a K&F SEQUENZA 5 line array setup with NOMOS LT base support. For the front fill, SEQUENZA 5 tops and subwoofers were also used as ground stack in the corners on both the left and right edges of the stage. 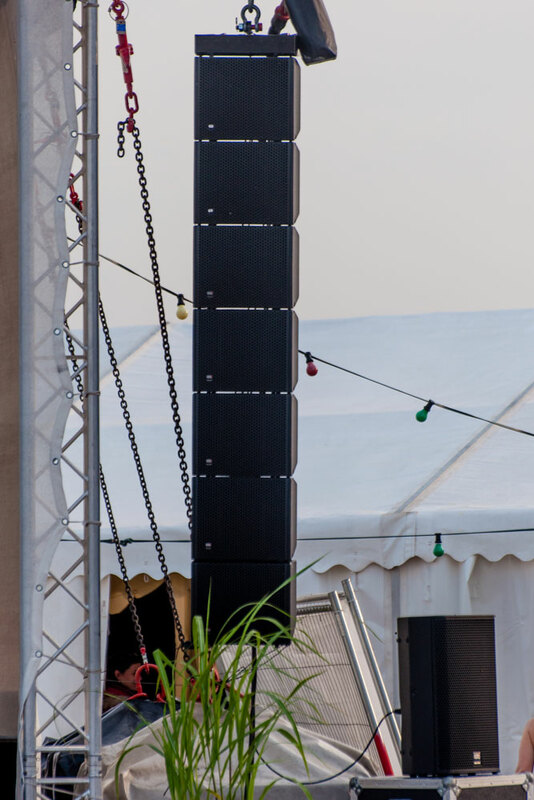 Since the first row of the audience was pretty close to the stage in order to increase proximity to the artists, there was the need for a side fill, which could be optimally implemented with speakers from the K&F GRAVIS series. On-stage, the artists used the SCENA stage monitors.